The Chevy Silverado is one of the best trucks on the road, and one the the most popular, and most useful upgrades is a tonneau cover. Offering style, security, protection and utility, a tonneau cover is a must. 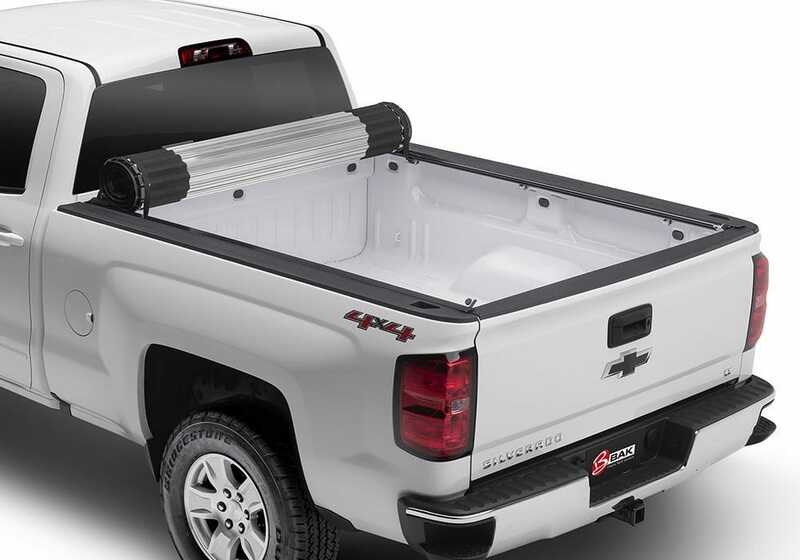 With many options available at various price points, we wanted to answer the question, which is the best tonneau cover for Silverado. Read on to find out. BAK Industries Revolver X2 Hard Roll-up Truck Bed Tonneau Cover Hard, Roll-up Locking rails. Automatic Slam Latch. Extang Encore Hard Folding Tonneau Cover Hard, Tri-fold Bolt lock to match ignition key. Water-resistant hinges. Light-weight design. Undercover Ultra Flex Hard Folding Truck Bed Tonneau Cover Hard, Tri-fold Ultra Low-Profile Design. Saddlebag Storage. Tyger Auto Tri-fold Truck Bed Tonneau Cover Soft, Tri-fold Marine-grade vinyl. No-drilling installation. MaxMate Roll-up Tonneau Truck Bed Cover Soft, Roll-up Marine-grade vinyl. Seals w/ Velcro. First on our list is this cover from BAK Industries. BAK is possibly the best in truck bed cover industry so it isn’t shocking that they are one of our favorites. Just like many of their other tonneau covers, this one is extremely easy to set up and use. To install, all you have to do is clamp down the Revolver locking rails and unroll your cover. You’ll see just how effortless it is to use the rolling design to get your bed all covered up for security. But there are many other features to this product that make it a contender for the best tonneau cover for Silverado trucks. First, we’ll point out that this cover doesn’t block out any of your access to your stake pocket holes so you can use your truck bed just as you normally would without a cover. We also love to point out that this has an Automatic Slam Latch that can be used from either side of your bed near the tailgate. There’s also the fact that this cover can be rolled up into a slim package behind your cab whenever you want so you can have it out of the way to haul larger items. Altogether, this cover is the whole package. 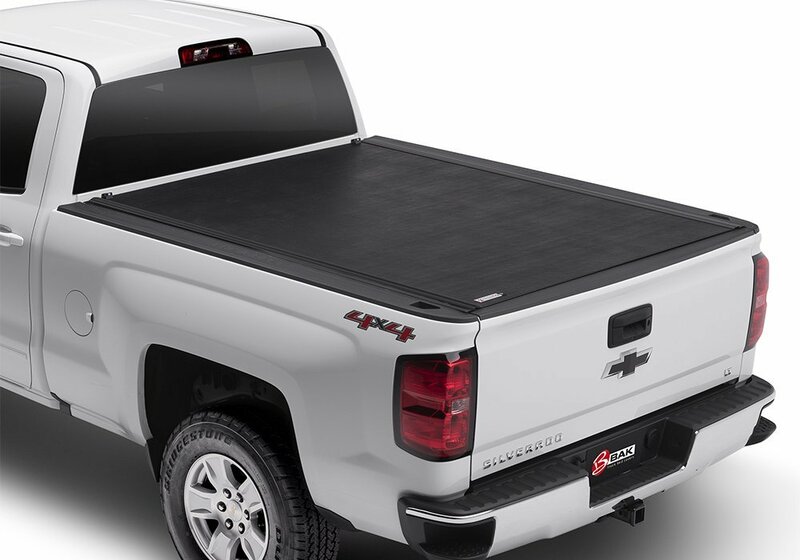 If you are looking for a soft cover, then you have found the best tonneau cover for Silverado trucks that you’re going to see. For a more traditional tonneau cover option than our first choice, there’s this Extang cover. This cover has a ton of amazing features that you are going to find out that you absolutely love. The tri-fold design employed in this tonneau cover makes it a perfect choice for a hard truck bed cover. The panels can be set up so that the front third of your bed is open or the back third, giving you a bit of customization that you’ll love. The hinges themselves are incredibly durable as well as totally water resistant. Its lightweight construction makes it extremely easy to get the cover into the right position like we mentioned before and, once the cover is properly aligned, you’ll find it’s a perfect fit for your Silverado. As if all that wasn’t enough, here’s our favorite thing about this cover. It has a BOLT Lock that can be configured to your ignition key. That means you can not only protect your cargo but also have it totally locked down just like anything that is in the cab of your ride. For that reason alone, we think you would enjoy having this Extang cover on your ride. Next up, we have an UnderCover cover that is sure to impress. You wouldn’t be the first to fall in love with your UnderCover product since they are some of the most respected truck bed cover makers in the world. Their products are built to last, made for function, and designed with their customers in mind. This particular cover has got to be up there as an option for the best tonneau cover for Silverado trucks. Its super low-profile design and cool matte black finish give it a look that appears to be stock yet gives your truck a truly polished look. It has carpeting on the underside of the panels so that your cargo gets a little bit more cushion and you will find out that you love the saddlebag storage areas built into this cover. That little bit of organization can go a long way! This cover also has a lighting system that can be used to illuminate your truck bed when you need it – something you just might not see in any other cover! The 5 year warranty on this cover completes this package to create a product that we truly believe won’t ever disappoint. 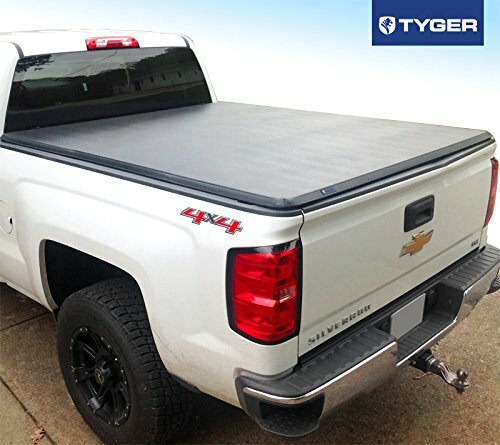 If you’re into having one of the best tonneau cover for Silverado trucks possible (which you are), then you’ll be interested in this Tyger cover. It comes with a lifetime limited warranty because Tyger knows that their cover is about to be your new favorite possession and they stand by their quality. Let’s see just what it is you are going to love so much about these covers. These covers are made of the most durable materials that you are going to see for tonneau covers – bar none. They heart of the panels are made of aluminum powder coated frames and 240z marine grade vinyl. The clamps that are provided are plenty durable, as well. Speaking of these clamps, they are used to install the cover with a no-drilling process that you’ll find is as simple as could be. The pre-assembled horizontal crossbars are also awesome, providing great support that folds up along with the cover when necessary. Altogether, this package is definitely a good one if you’re looking for a complete cover that will make you happy on all fronts. With this cover on your truck, you’ll add great style to your truck, see great durability, and be one happy camper. Last – and most certainly not least – is this tonneau cover from MaxMate. Here, we have a company who is highly regarded as one of the best producers of this exact product. Their cover is one to be reckoned with for one of the best contenders around. First off, you’ll notice that this cover features a 24oz marine grade vinyl top. That means it’s built to withstand the abusive salty air and sea – so it’s probably good enough for wherever your car get driven. The cover itself will seal down through its Velcro strips and Latch Lock System for maximum security. It also comes with an adjustable tension system that you can use to tighten things up. The installation features no drilling whatsoever and you’ll get a guidebook with instructions on how to get yourself set up quick as could be using the clamps. And, what’s best out of all of this, is you’re going to get a 10 year warranty on the whole deal. Everything. 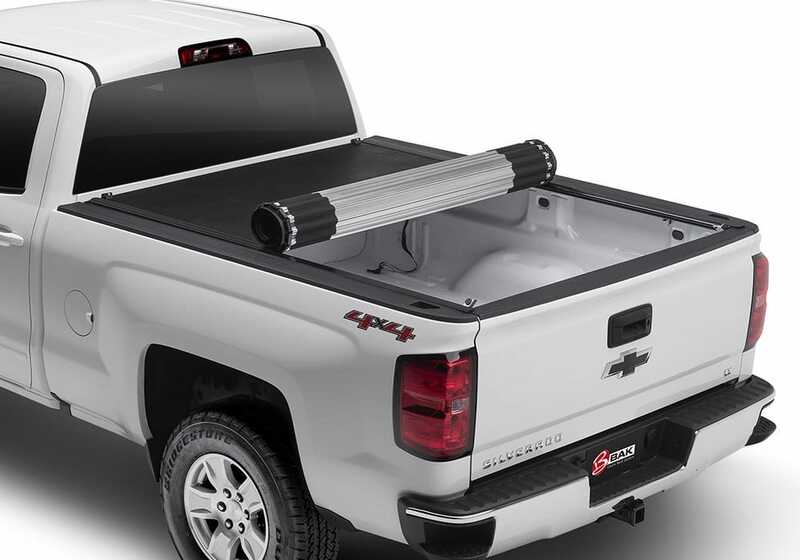 That in itself is good enough to make this one of the best tonneau cover for Silverado trucks – but everything else is gravy. The bread and butter of the truck aftermarket world are intakes, exhaust, leveling kits, wheels, tires and floor mats. Tonneau covers should definitely be on that list too. We have told you all about the greatest tonneau covers around – but we also want to make sure we take care of you. That’s why we are making a little Tonneau Cover Buyers Guide. Keep reading to find out just how to pick out the best tonneau covers and what to expect when you have one of your own. The benefits with tonneau covers are numerous. It’s easy to see how a cover is going to make your truck look good, of course. Just take a look at a few of the examples you’ll see on the web. But there are a lot more benefits than this that have everything to do with protecting your cargo. 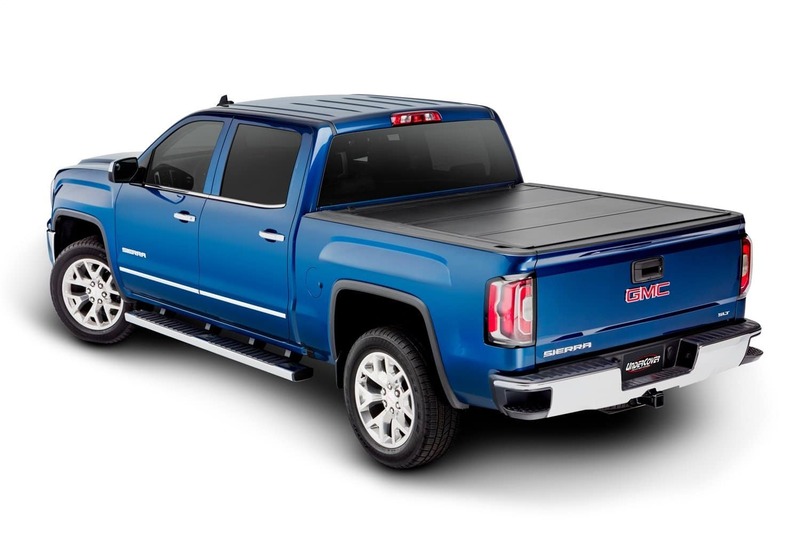 Whether you are just keeping something in your bed while you are away or want to protect your belongings from some inclement weather, a tonneau cover is going to get the job done. Additionally, some covers have the ability to be completely locked using your ignition key for added security. Making sure that “your stuff” stays “your stuff” and not “someone else’s stuff” is a perfect reason to get a cover among many others. With all this in mind, it’s important to realize what to look for when you go to get your own tonneau cover. For instance, we just talked about how some covers have full on locks. If that level of security is what you are wanting to see out of your cover, then you’re going to want to look for it and get it. You’ll also want to pay attention to whether or not you want a soft cover or a hard cover. Soft covers are lighter weight and easier to adjust – but hard covers offer serious production and a real polished look to your ride. Last, we’re going to mention the fact that your wallet should be a consideration, too. This by no means is saying that you shouldn’t get one at all. In fact, that should make a tonneau cover even more important because it protects the stuff that you already do have. However, we just want to make sure that we do talk about those greenbacks because they are important at the end of the day. With these types of covers, there really aren’t too many things that you should be particularly afraid of beyond two factors. The first is that you need to make sure you get the right size of cover. Is this a problem with tonneau covers? No, not really. We just don’t want you to think that all covers are the same size and end up disappointed when the one you chose doesn’t fit. So just be aware of this fact! Second, avoid covers that aren’t made of outstanding materials. We, of course, didn’t put any cheap-o covers on this list so this isn’t a problem for any of these covers. However, if you happen to shy away from this list, be careful! Will a tonneau cover improve mileage? This debate constantly rages on. If you ask a scientist, the answer is no. They say that the truck bed creates a pocket of air that doesn’t require anything to be on top of this little cloud so a cover won’t do anything extra. However, even with these ideas out there, people still constantly will tell you that they put a cover on their bed and immediately saw better gas mileage. So, you be the judge. Can tonneau covers go through a car wash? Tonneau covers can definitely go through a car wash – and probably should! Your cover should be just as clean as the rest of your ride so don’t feel any need to take it off if you’re going to get it cleaned up. All you need to do is make sure that your cover is secured properly so it keeps the water out of your bed. How to install a tonneau cover? Most covers simply require clamps to be installed on the rails of your truck bed for installation. They will hold the cover in place. The process looks a lot like two simple steps. First, spread out your cover to its full length. Second, clamp it down. You’re done. How to remove a tonneau cover? To remove a cover, you just have to do the opposite of the installation process. First, make sure your cover is laid out fully. Second, undo the clamps. Third, take the cover off. Easy as could be! You’ve found out everything that tonneau covers have to offer and we’re willing to be you’re excited about getting one for yourself. 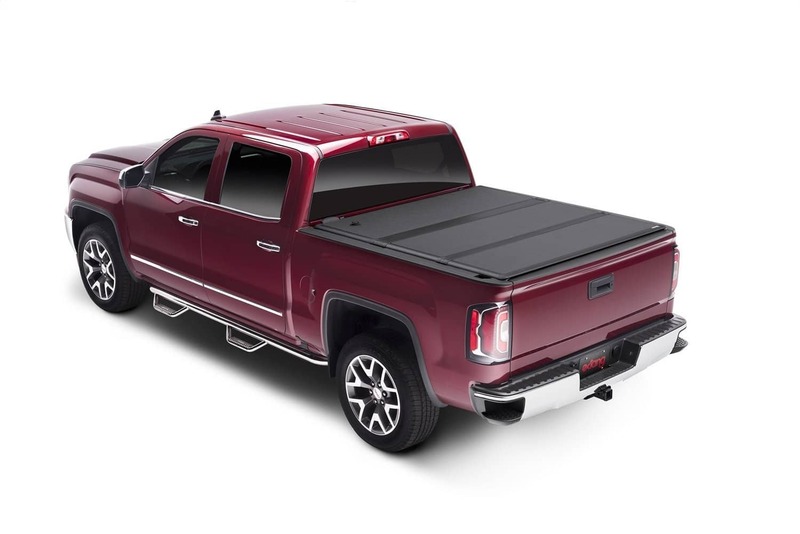 The best tonneau cover for Silverado truck options are all here so scroll back up and get yours today!